Samsung just leaked its own Galaxy J7 Prime 2 smartphone along with photos and specs. Well, it’s actually an official release, sort of. The leak happened when the phone appeared on the Samsung India site where it still sits at time of publishing, just without the option to actually buy it. This suggests it was a mistake but of course this could simply be some cunning marketing to get more attention to this mid-range handset. Either way it’s been left up so this might be the unveiling, once the option to buy is actually turned on. Despite being a mid-range smartphone this is still an impressive bit of kit for a low price. For a start the metal unibody design is great with minimal side bezels on that 5.5-inch Full HD TFT display. Onboard is an octa-core Exynos 7 CPU backed by a hefty 3GB of RAM and 32GB of onboard memory plus microSD expansion port. Both front and rear cameras are 13-megapixels with f/1.9 aperture for excellent low light shots plus Sammy features like live filters, live stickers, instant sharing and instant editing. 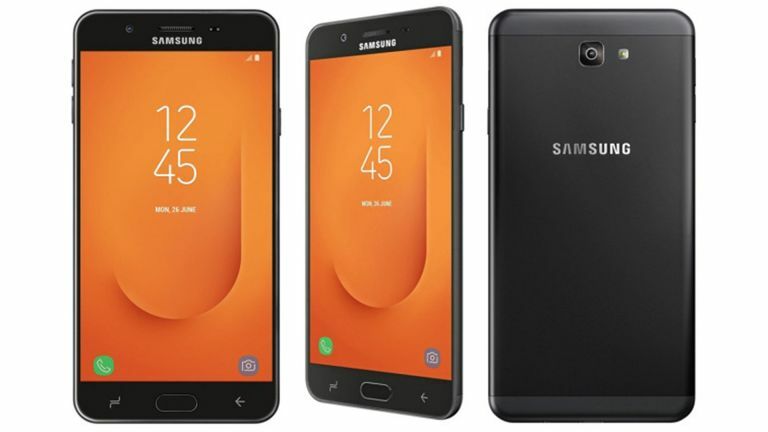 The Samsung Galaxy J7 Prime 2 also comes packing in a 3,300 mAh battery, 4G VoLTE capabilities, micro-USB for fast charging, a front-facing fingerprint reader and Android Nougat OS. The Samsung Galaxy J7 Prime 2 is listed priced at INR 13,990 which is about £150. Expect the buy button to become active very soon – hopefully internationally.